It’s been a busy week for Activision and Crash Bandicoot this past week, as the publisher confirmed that it was bringing the previously exclusive PlayStation 4 game not only to Xbox One and PC, but also the Nintendo Switch. And now we’ve got a pretty good idea of who will be bringing Crash’s antics to Nintendo’s system. Surprisingly enough, it’s not the trilogy’s original developer, Vicarious Visions, although they’re working on the Xbox One and PC versions. Instead, it’s Toys For Bob, another developer that’s quite familiar with working on big franchises. Toys For Bob has previously worked on a number of Skylanders games over the years, including Imaginators, the game in which Crash Bandicoot originally made his comeback as an unlockable character, alongside Dr. Neo Cortex, his adversary. So they obviously know what’s supposed to go into a platforming game such as this. All the same, early footage for Crash Bandicoot N. Sane Trilogy on the Nintendo Switch looks very promising, as Toys For Bob looks to be pretty good on its game, staying true to Vicarious Visions’ coding. So fans shouldn’t be worried about his original adventures making their debut on a Nintendo platform – he’ll spin in fine fashion. 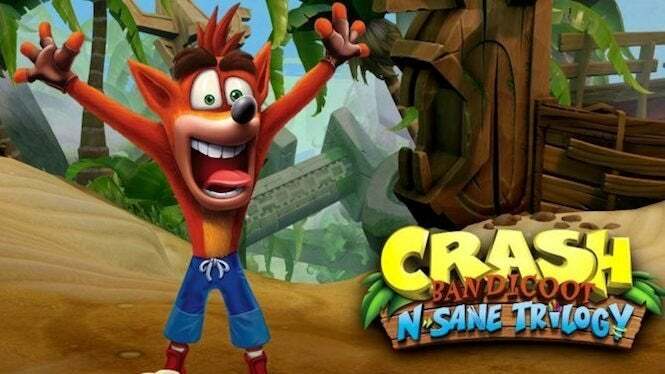 We’ll see how Crash fares on other consoles when N. Sane Trilogy debuts on July 10 for Xbox One, Nintendo Switch and PC. Needless to say, we're going to have a lot of fun trying to 100 percent it again. WOOBAHGAH!